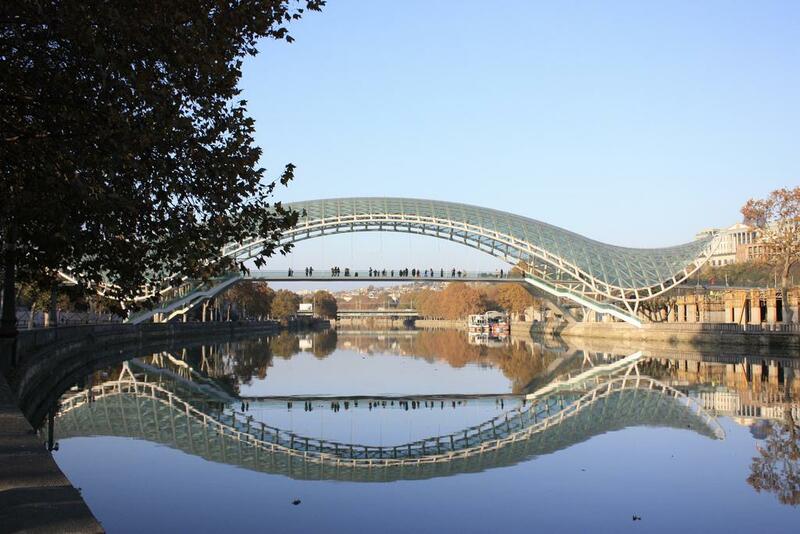 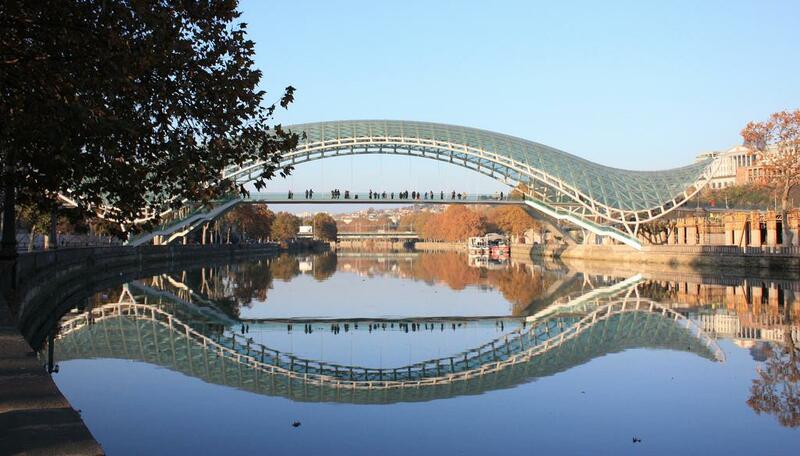 The Bridge of Peace is a bow-shaped pedestrian bridge over the Kura River in Tbilisi, capital of Georgia. 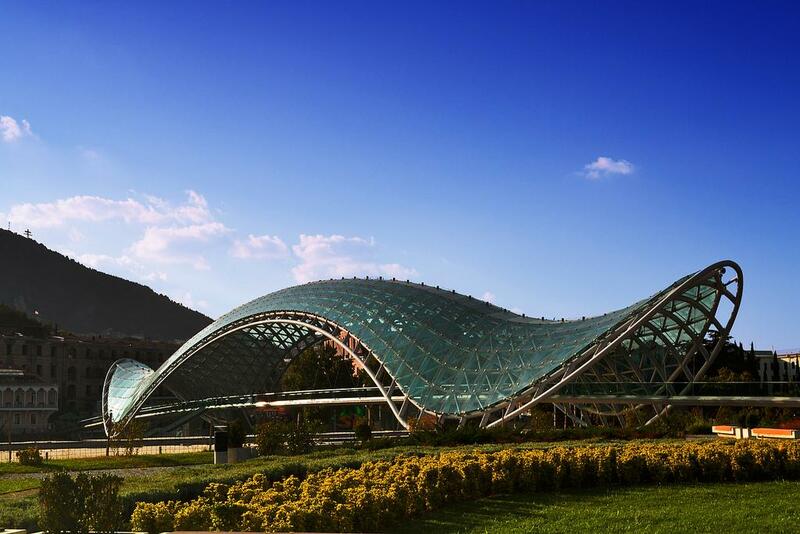 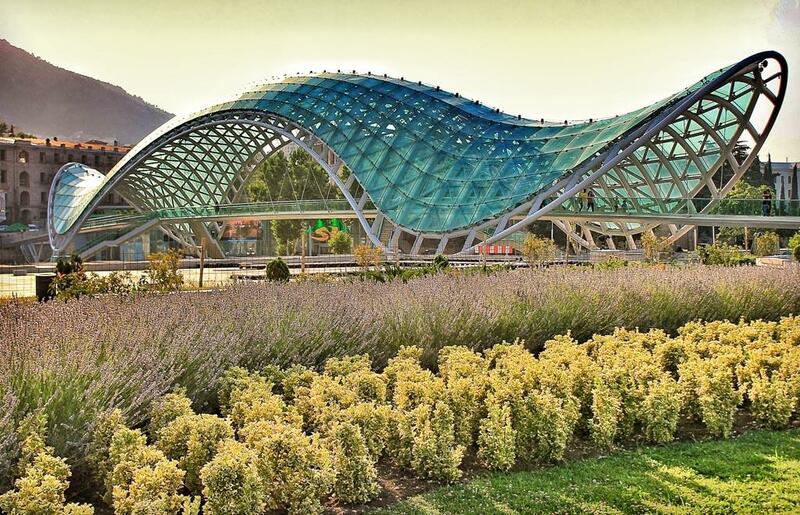 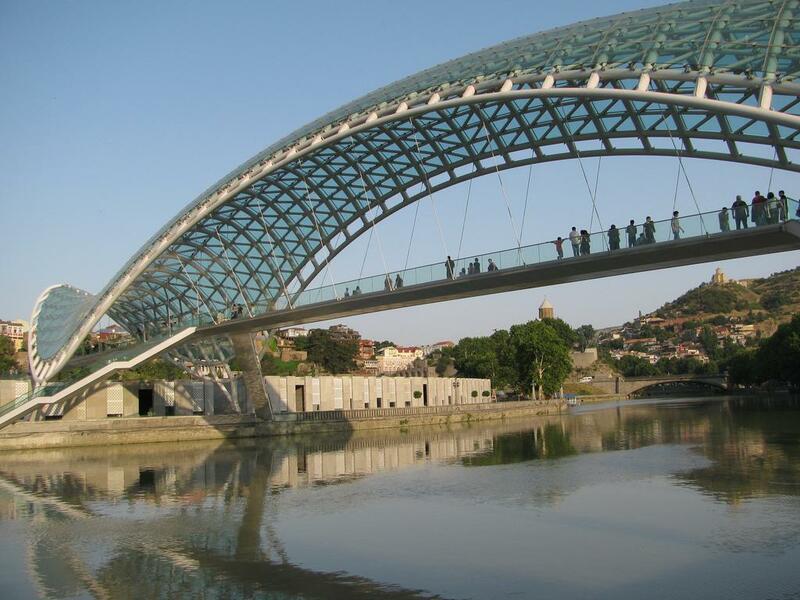 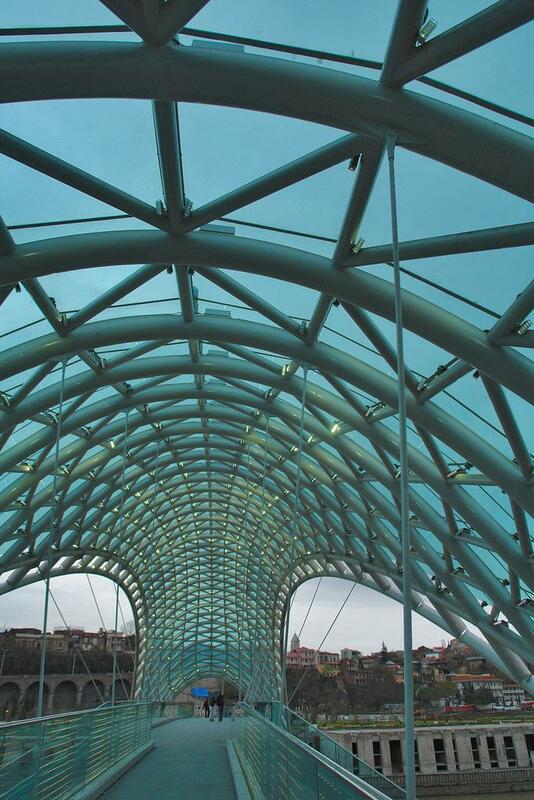 The bridge which stretches 150 metres was ordered by the City Hall of Tbilisi to create a contemporary design feature connecting Old Tbilisi with the new district. 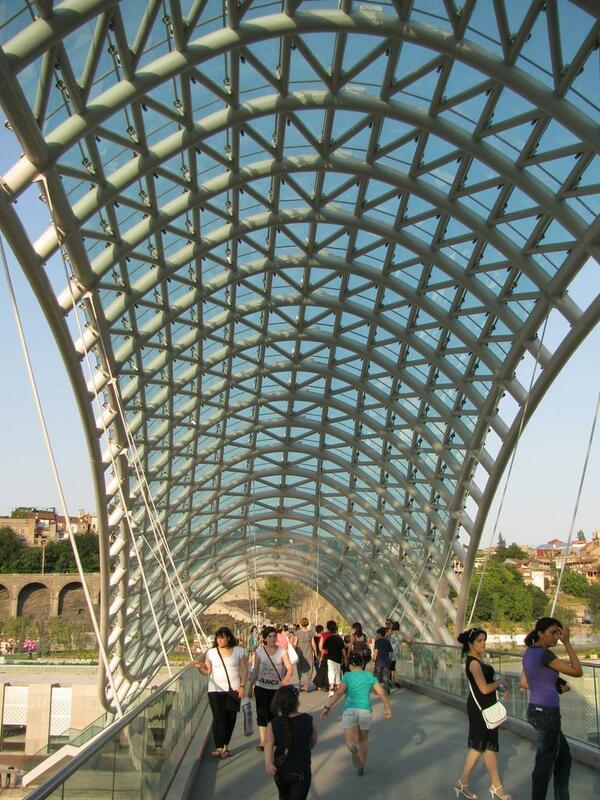 It was designed by the Italian architect Michele De Lucchi and was officially opened on May 6, 2010. 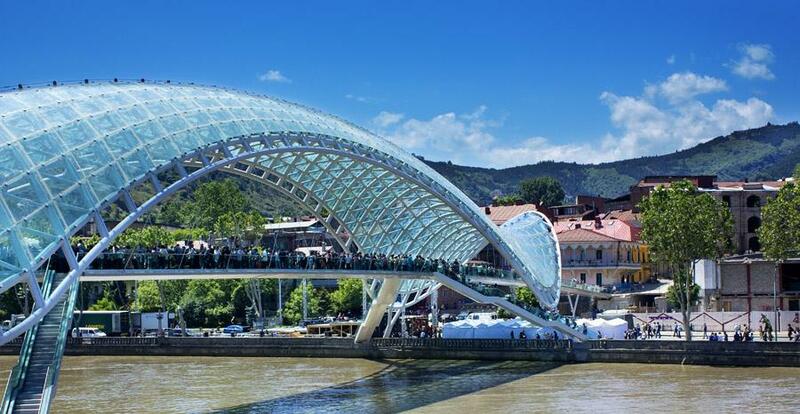 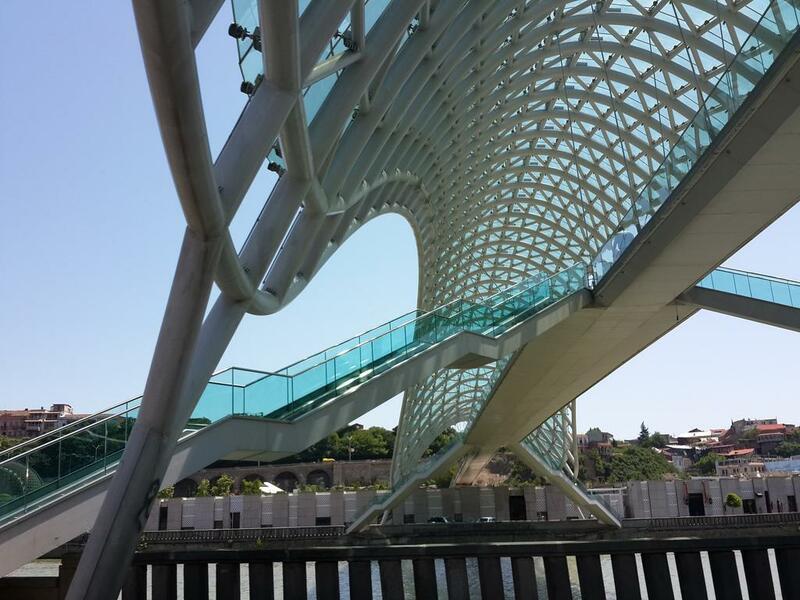 The wavy steel and glass canopy is fitted with thousands of LED lights that are switched on 90 minutes before sunset, illuminating the Kura River and the buildings on both banks.